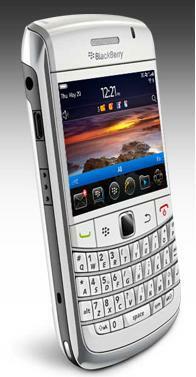 Research In Motion (RIM) launched a brand new smartphone for the business users known as the BlackBerry Bold 9780. RIM has maintained success of bringing in the very best out of smartphones and marking success for the Bold editions. The newly introduced model sports a 2.44-inch display, GPS, Wi-Fi, HSDPA support, a 5-megapixel camera and obviously the well-known QWERTY keypad. The Canadian smartphone maker rolled out the new handset marking it as an update version of the BlackBerry Bold 9700. The new and improved version brings in an improved version of the camera, more storage space in form of memory while making the smartphone more social. We are very excited to introduce the BlackBerry Bold 9780 featuring the new BlackBerry 6 operating system. This new model builds on the highly refined mobile experience that BlackBerry Bold users already know and love. Powered with the BlackBerry OS 6, users will get improved tools for managing Facebook, Twitter, MySpace as well as other social services along with integrated access to BlackBerry Messenger and integrated RSS feed management. The new OS also features a dedicated YouTube App, redesigned pictures and music App, and access to BlackBerry App World. The new BlackBerry Bold 9780 will be available through various carriers worldwide at an attractive price of $129.99 after a $50 mail-in-rebate with a two year service agreement from T-Mobile.